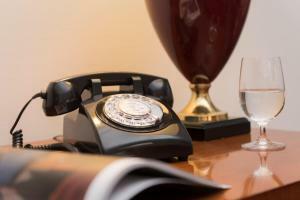 Located directly on Berlin’s Kurfürstendamm shopping street, this 4-star hotel offers free Wi-Fi. Tegel Airport is a direct bus ride away. 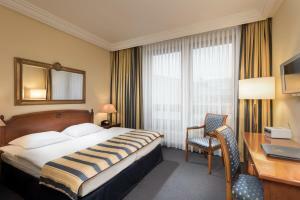 The spacious rooms at the Hotel Mondial am Kurfürstendamm feature large, soundproofed windows and elegant wooden furniture. 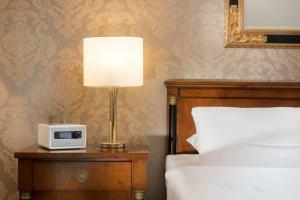 Comforts include a flat-screen TV, minibar and hairdryer. A hot/cold breakfast buffet is available every morning. Regional specialities are served in Hotel Mondial’s classical-style restaurant. Guests can relax in the stylish bar with leather seating, or outside on the summer terrace. 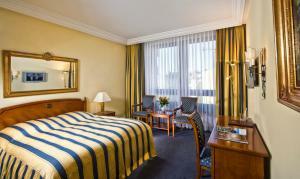 The Mondial is a 5-minute walk from Savignyplatz S-Bahn Station and Uhlandstraße Underground Station. The stop served by bus 109 for Tegel Airport is just 100 metres away. Large room with spacious seating area, bathrobe and slippers. 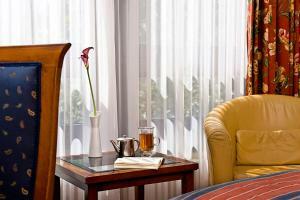 Guests enjoy free coffee facilities in the room, and free non-alcoholic drinks from the minibar. There are no extra beds available in this category. Some of these rooms are barrier-free. Large room with spacious seating area, bathrobe, and slippers. 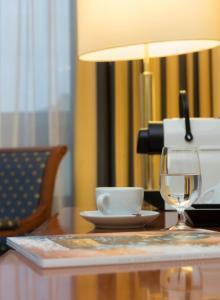 Guests enjoy free coffee facilities in the room and free soft drinks from the minibar. The bed is fitted with 2 mattresses. Some of these rooms are barrier-free. 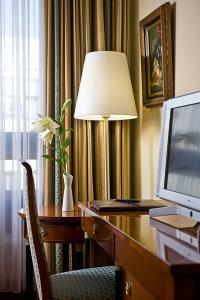 Classic-style room featuring a flat-screen TV, a desk and a minibar. 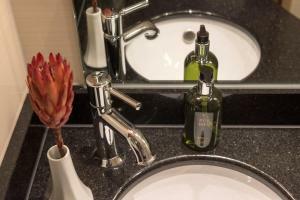 A hairdryer and toiletries are provided in the en suite bathroom. This category consists of a double bed and 2 extra beds. There are no extra beds available in this category. Classic-style room featuring a flat-screen TV, a desk and a minibar. A hairdryer and toiletries are provided in the en suite bathroom. The bed is fitted with 2 mattresses. There are no extra beds available in this category. Classic-style room featuring a flat-screen TV, a desk and a minibar. 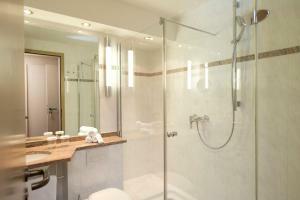 A hairdryer and toiletries are provided in the en suite bathroom. There are no extra beds available in this category. This quiet room features a desk.